Dragon Baker Wood Burning Oven! Combination Baking and Heating Oven! 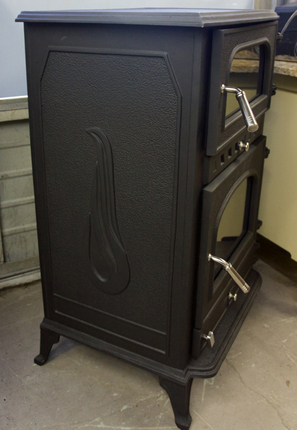 The SilverFire Dragon Baker is a large, high mass, ornate cast iron bake and heat oven. 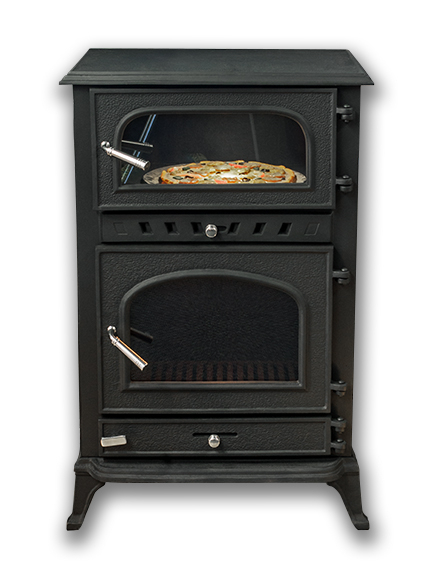 This wood burning oven is ideal for baking or heating. Primary and Secondary hot flu gas combustion means efficiently burned wood, smoke and exhaust, when using quality, dry fuel. Reduce your cooking and heating bills and live green by utilizing renewable fuels. 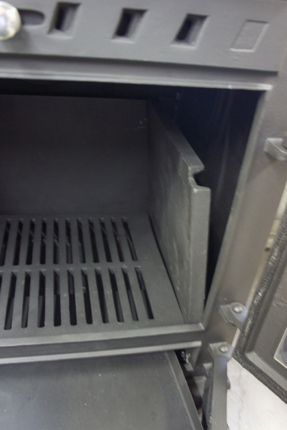 Large firebox and ash bin sit below the baking oven. 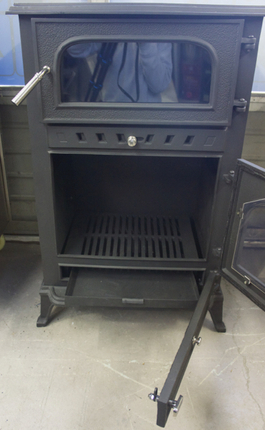 The firebox has a removable ash drawer below for easy maintenance. Maximum combustion burn times are going to vary, depending on load volume, species, moisture content, and density of fuel. 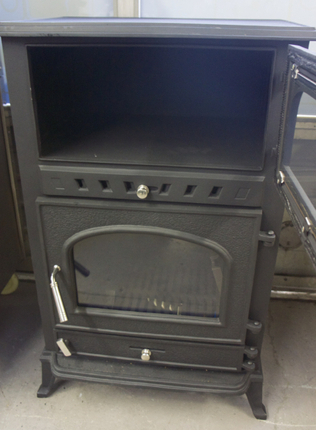 The oven is vented with a standard 6" chimney collar directly out of the back of this unit. 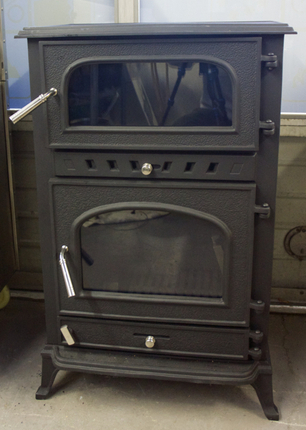 This heavy duty cast iron is tough, elegant and will keep you cozy! 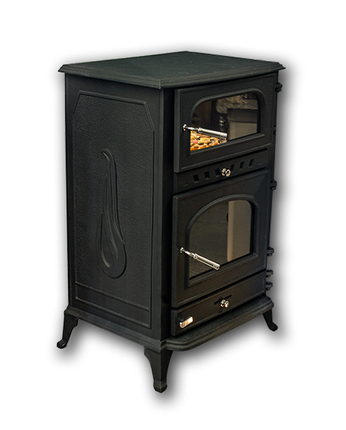 Key cast iron firebox components are rugged, modular, and replaceable. Firebox features hot flu gas double wall construction. 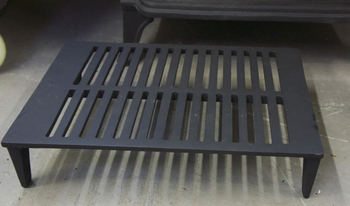 Primary air dampener below grate and secondary hot flu gas ventilation dampner above (directly below firebox). Uses 6" chimney. Hot ash door and removable tray for easy access cleaning. Pallet shipping by LTL Freight & delivery quote required.. Combustion Process Diagram: Secondary hot flu gas combust at top of firebox, maintain efficient rolling flames and keep firebox door glass clean. This secondary combustion ensures efficient, clean burning performance.